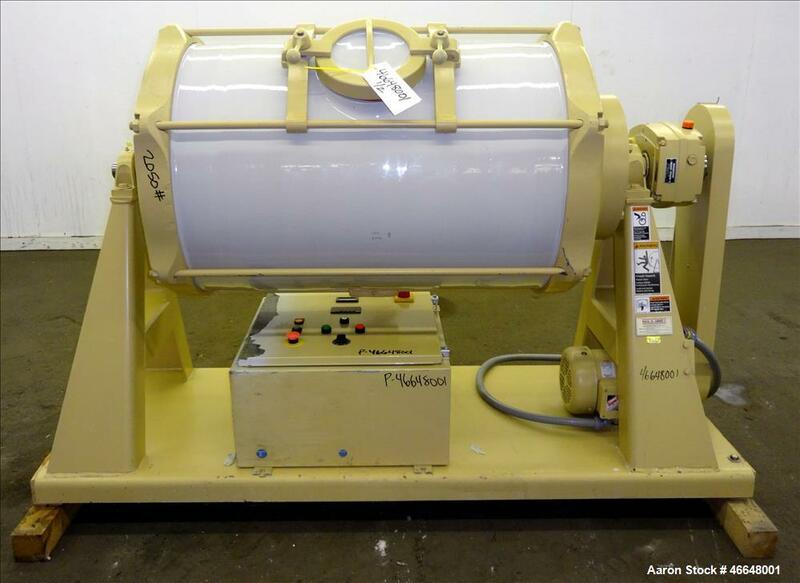 Used- US Stoneware 3 Tier Mill. 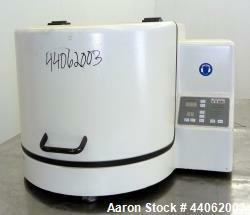 Used- US Stoneware 3 Tier Mill. Mounted in a cabinet with lining. Driven by a 1 HP Motor with Speed Control. Serial # CN98104. 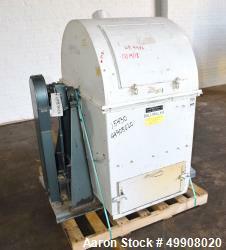 Used- Fritsch Planetary Mill, Model Pulverisette 5". Includes (2) bowl fasteners with approximate 4" diameter jars. Designed for Dry / Wet process. Variable speed of main disk 50-400 rpm, maximum feed size 10mm, maximum sample quantity 450 ml. Used- Paul O Abbe Ceramic Ball Mill, Model 5A JM. Used- Paul O. Abbe Jar Mill, Model 5A, Total Volume 35.30 Gallon. Porcelain jar 22" diameter x 20" straight side. Driven by 1hp, 3/60/230/460 volt, 1745 rpm motor thru a reducer, ratio 25 to 1. Inlet & outlet with cover and clamp. 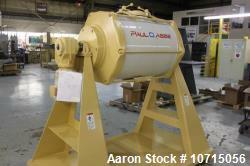 Mounted on carbon steel legs with a discharge housing. Serial#A41563. 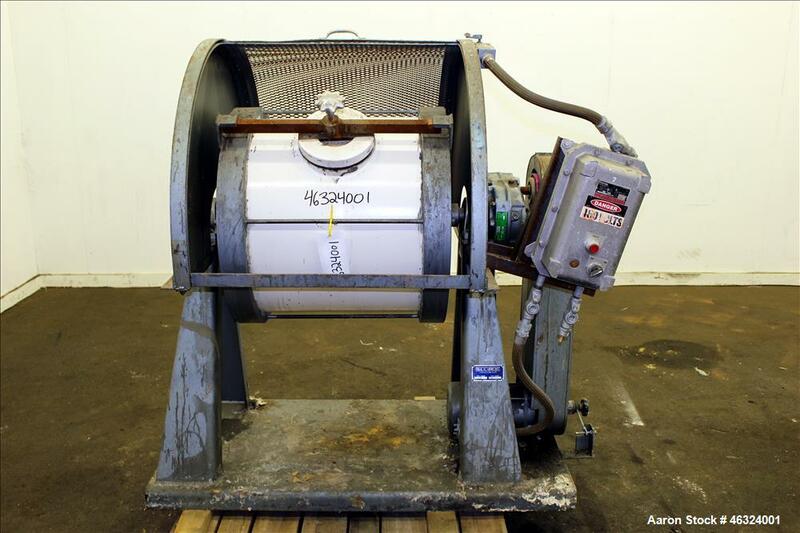 Used- Nikkato Corporation YTZ High Wear Resistant Zirconia Grinding Media (miscellaneous sizes). Produced from yttria-stabilized zirconia powder, exhibits high crushing strength and wear resistance. YTZ, due to its high density/crushing strength and relative inertness to most non acidic fluids, can be more effectively used in most, if not all, water based processes, especially in high speed agitation mills. 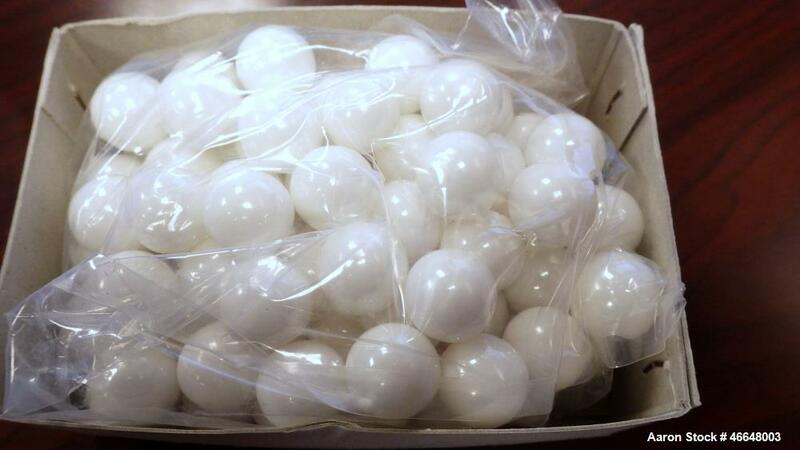 Approximate 25mm we have 50 pounds, approximate 15mm 1,050 pounds, approximate 10mm we have 50 pounds. 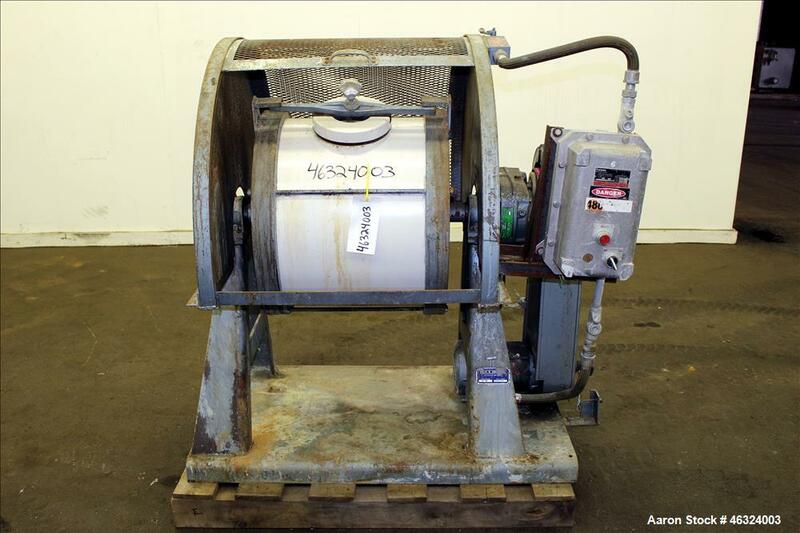 Used- Paul O. Abbe Trunnion Mounted Jar Mill, Model 5. Total volume 24.25 gallons. Porcelain jar 20-1/2" diameter x 17" straight side. Driven by 3/4 hp, 3/60/208-230/460 volt, 1140 rpm motor thru a Dodge torque arm reducer, ratio 23.45 to 1, approximate drum speed 12 to 35 rpm. 6" Inlet/outlet with cover and clamp. Mounted on carbon steel legs with a common base. Serial #A42350, built 1990. 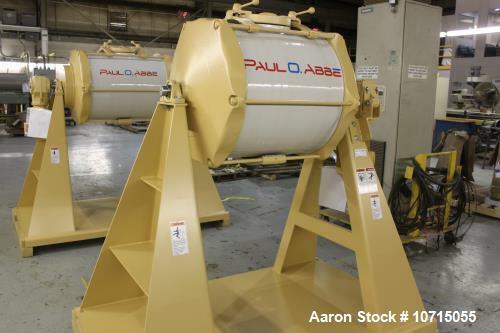 Used- Paul O. Abbe Trunnion Mounted Jar Mill, Model 5A. Total volume 35.30 gallons. Porcelain jar 22" diameter x 21-1/2" straight side. Driven by 1 hp, 3/60/208-230/460 volt, 1140 rpm motor thru a Dodge torque arm reducer, ratio 23.45 to 1, approximate drum speed 11 to 33 rpm. 6" Inlet/outlet with cover and clamp. Mounted on carbon steel legs with a common base. Serial #A42351, built 1990. 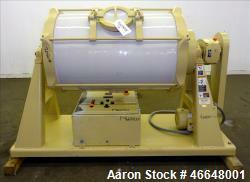 Used- Paul O. Abbe 1 Piece Ceramic Mill, Model JM-300. Non-Jacketed chamber approximate 24.8" diameter x 39.5" long. Vessel volume 300 liter (79 gallons). Approximate 5" charge and discharge port with cover. Driven by a 3 hp, 3/60/208-230/460 volt 1760 rpm motor with a shaft mounted Sumitomo Model 203E-25 reducer. Approximate 32 rpm drum speed. 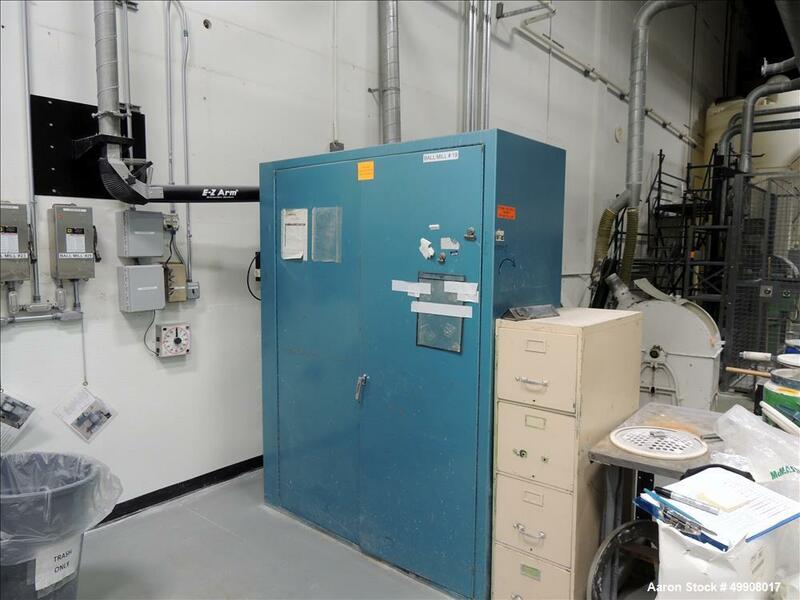 Includes a control panel with an ABB driven. Mounted on a common carbon steel frame legs. Serial# 0830032JM, built 2008. 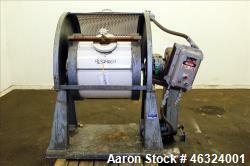 See stock# 46648003 for miscellaneous grinding media.